After an explosion caused by a failed experiment tragically cost him his sight, Nobel-prize winning scientist, Dr. Gustaf Dalén, was confined to his home. Cared for by his wife Elma, Dalén was concerned about the amount of time she was spending stoking the fire under a dangerous open stove. Inspired, he resolved to invent a more efficient cooker that could be safely left on at all times. The AGA was born. Although invented by a Swede, the AGA cooker has become a symbol of all things quintessentially British. In 1947, manufacture of the cooker was moved to the Coalbrookdale foundry in Shropshire, where they are still being made to this day. Also, Douglas Scott, best known for designing London’s classic Routemaster buses, played a significant role in the re-styling of the cooker, turning it into the recognisable icon it is now. The secret to the AGA’s success is that they are still built the same way as they always have been. Molten iron is poured into moulds to create heavy iron castings, which absorb and retain heat, before being given multiple coats of enamel. This means that not only does food retain more moisture and flavour, but also, every cooker is unique. Another major selling point is their longevity, with a recent competition to find the oldest working AGA cooker discovering that one installed in 1932 was still cooking! Although an AGA cooker may conjure up images of rambling country estates and farmhouse kitchens, they are equally at home in a contemporary setting. Modern models are combined with state-of-the-art technology that allows you to remotely turn on a casserole or heat up the home simply by sending a text from a smartphone. To cut down running costs, some even have touch-screen panels that control the different ovens and hotplates, innovations that I’m sure would have overjoyed Dr. Dalén. 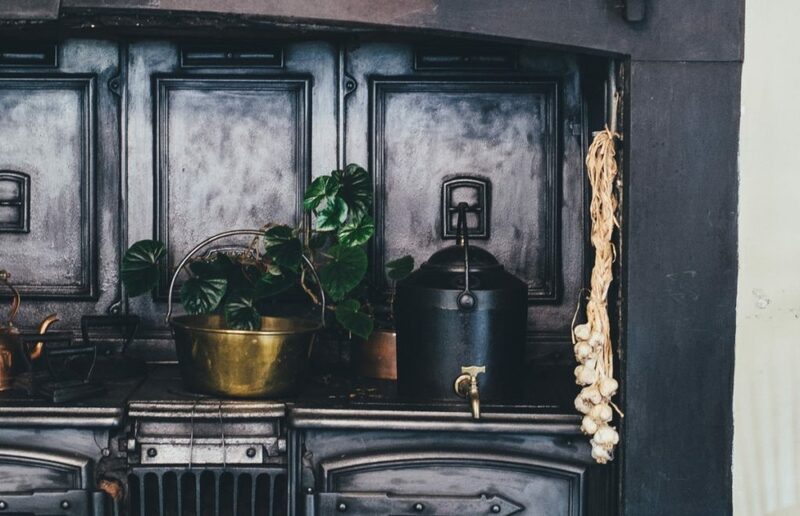 As the evenings draw in and we dream of stewed apples bubbling on the stove and dogs warming their paws in front of the oven, it’s clear the AGA is more than just a good looking facade and, possibly, even more than an ingenious design. It is a cherished part of family life. For more ideas on how to create a warm and inviting kitchen during these colder months, read our article on Bringing Autumn Into Your Kitchen.